Last month we reported on news that a “buy now” button had been seen in the wild by some users of the Twitter mobile app. While this feature was not functional and only appeared for the usual very small subset of folks, it did appear to be an early indication that some form of e-commerce was coming to Twitter. 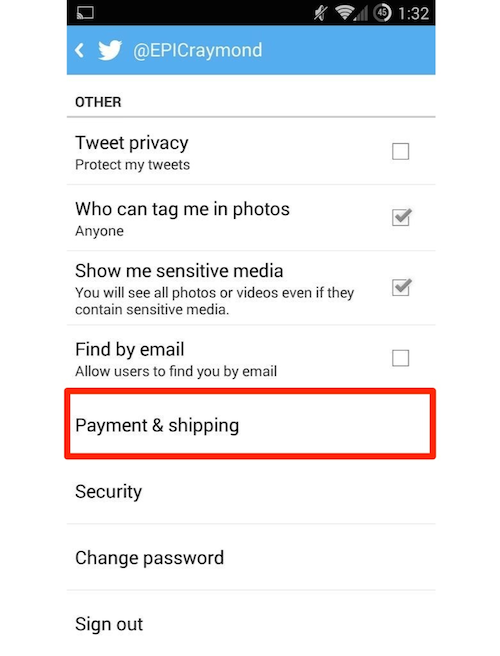 Here’s an even bigger clue: a “Payment & Shipping” option has materialised for some users of Twitter’s official Android app, which suggests that shopping functionality could be right around the corner. Check the screen grab below, courtesy of user @EPICraymond. 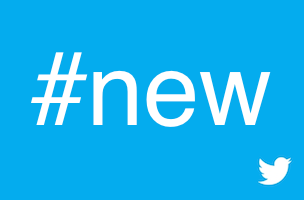 Other users have also been reporting the change. While the “Payment & Shipping” setting, like the “buy now” button, is not functional, testing options doesn’t really make a lot of sense for Twitter. Indeed, it seems to suggest that they’re getting different elements in place ahead of a bigger e-commerce launch, perhaps later this year. No word yet on whether Twitter will handle all payments themselves or work through a third party like Paypal (or both), but something is afoot. Film at eleven.